- Fire - Flavored like Taco Bell's Fire sauce, with hints of jalapenos, chili peppers, and paprika. 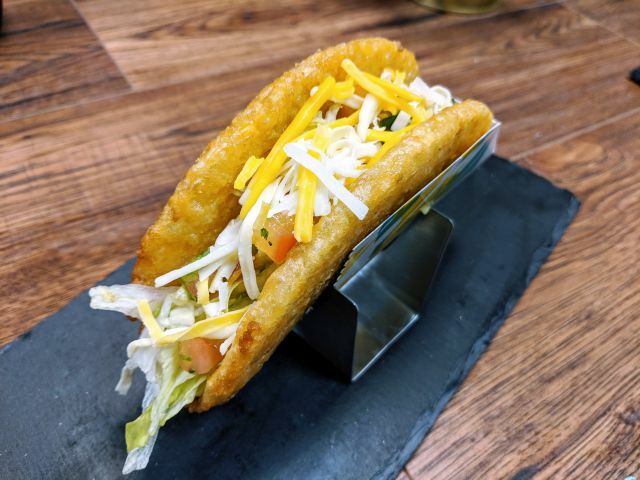 - Mild - The flavor of Taco Bell's Mild sauce, with hints of three chili peppers and cumin. The packaging of the new chips resembles the chain's sauce packages with the similar quips and sayings on the bag. Fire and Mild will come in 1-oz, 3.5-oz, 11-oz, and 30-oz bags, while Classic will be available in 1-oz, 3.5-oz, 13-oz, and 30-oz bags. You'll be able to find them in both grocery and convenience stores. 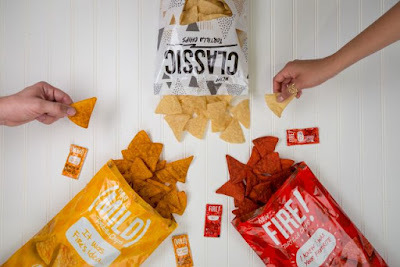 It'll be interesting to see if the new chips are similar to the bags of tortilla chips that Taco Bell tested at a few of their restaurants back in 2015.